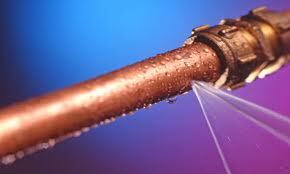 If you have a water leak somewhere in your home LA Affordable Plumbing, can find it and fix it for you. Though some minor water leaks can be repaired by you at home, most water leak repair and detection should be left to a professional. Even minor leaks could cause major problems if left undetected for long periods of time. A hole the size of a pinhead, for example, can spill out 360,000 gallons of water per year. Hiring an expert to repair your water leak could also save your suburban home from extra structural damage. Our plumbers that service Los Angeles will find your leak using their experience and expertise, and efficiently track the leak to its source. If you come across any of these signs, LA Affordable Plumbing will identify the source of your water leak and provide you with some options to address the problem. Water Leaks can occur for a variety of reasons. They can happen due to improper maintenance (or lack of maintenance), old and rusty pipes or poor workmanship (among other reasons). At LA Affordable Plumbing, we guarantee our workmanship. Some steps that you can take to prevent leak-related problems are checking the visible pipes in your home periodically (such as under your sink), check your water heater for leaks and replace old washers. In addition to performing regular water leak maintenance, it is important to periodically have a professional check your home for leaks so you don’t have to deal with water-related damage and higher than normal water bills down the line. Once you decide the course of addressing the problem you’re comfortable with, we will repair the water leak or replace a faulty part of the system quickly and efficiently. Even on a weekend, 18 hours a day, LA Affordable Plumbing proudly serves Los Angeles and surrounding areas.